Below you can view all the homes for sale in the Sedona At Southwest Ranch subdivision located in Las Vegas Nevada. Listings in Sedona At Southwest Ranch are updated daily from data we receive from the Las Vegas multiple listing service. To learn more about any of these homes or to receive custom notifications when a new property is listed for sale in Sedona At Southwest Ranch, give us a call at 702-323-5933. Large Laundyroom, Large Back Yard Just Add Pool & There Is Still Plenty Of Space To Create Your Paradise. MLS#2089008. Platinum R.E. Professionals. Spectacular 2 story home in gated community of Stetson Ranch. Move in ready . Beautiful backyard. MLS#2085673. BluePrint Realty LLC. Ranch Style 3 Bedroom, 2 Bath Home In Summerlin, 2 Car Garage, Gated, His And Hers Sinks At Master Bath, Granite Counter-tops At Kitchen, Covered Patio, Shutters, Ceiling Fan At Living Room, All Appliances To Convey*see It Today, This Home Will Not Last Long* MLS#2087826. Keller Williams Market Place I. Elegant wallpaper upgrade makes the dining area the perfect gathering space for holiday celebrations.The Spacious Master with his and hers sinks and walk in closet are everyones dream! Come and call it home! MLS#2087199. BHHS Nevada Properties. * Stainless Steel appliances * "Chef's-style" kitchen with upgraded appliances, range and sink * Beautiful quartz countertops * Gorgeous floor plan with vaulted ceilings * Security system * Upgraded flooring and lighting throughout * Excellent pride of ownership * Upstairs loft * Custom paint * Ceiling fans * Soft water loop * You wont be disappointed- MUST SEE! ! MLS#2086241. Urban Nest Realty. The community is situated within close proximity to local amenities and has excellent access to the 215 Freeway. MUST SEE MLS#2085268. BHHS Nevada Properties. Large secondary rooms with own bathrooms MLS#2084488. Platinum R.E. Professionals. Dual sink vanities in both upstairs bathrooms. A Keeper! MLS#2083045. All Vegas Valley Realty. Shops/Schools/Health Facilities/Park/ you got it all!! ! MLS#2078020. The PMG Realty Company LLC. Expansive loft overlooking great room, bedroom 3 is privately located upstairs with own bath and walk-in closet. MLS#2081606. Simply Vegas. Gorgeous 3 Bedroom Home , Gated Community, located in Southwest Ranch. MLS#2081145. Golden Assets & Property Mgt. Check It Out, You Won'T Be Disappointed. MLS#2080252. Southern Nevada Realty Group. Mstr Bed Seperate From Other Two. And Much More! MLS#2079813. Cofield Real Estate. Epoxy Flooring & High Loft Storage in Garage. Private Backyard Perfect For Entertaining. MLS#2077535. RE/MAX Advantage. Come see it today because this house will not last long! MLS#2074109. Realty ONE Group, Inc.
Just 4 mins from 215/Russell freeway, shopping & restaurants. 15 Min to the Strip. MLS#2074311. Realty ONE Group, Inc.
Don't hesitate, see it today! MLS#2074091. Keller Williams Realty Las Vegas. Chandelier in master bedroom does not stay. MLS#2073679. Vegas Dream Homes Inc.
Go see it now before it is gone! MLS#2070331. Realty ONE Group, Inc. Wet & Wild and area parks are less than 10 min. away! MLS#2067178. Elite Realty. Crown Jewel Of Stetson Ranch, Location Right Near Bishop Gorman High School Summerlin, Easy Access To The Beltway And Downtown Summerlin, Custom Finished Home In Double Gated Community, Fabulouse Master Suite With Stone Bathroom And Fireplace, Main Floor Bedroom Suite, Custom Finished Office, Gourmet Kitchen, To Die For Custom Built Billiard Room And An Entertainers Dream Complete With Pool, Spa, Waterfall And Built In Bbq, Exquisite Finishes. MLS#2067078. Las Vegas Luxury Realty, LLC. 5 Beds and 4 Bath and 3 Garage property sit on a Cul-De-Suc corner lot in a gated community in the southwest area, close to freeway, shopping, school, park and most attractions in the valley, property features bedroom downstairs with full bath, master and one suite upstairs, hard floor all through, fireplace in high ceiling living room, spacious family room with extra storage room on the first floor, and many many more, a must see in the area! MLS#2066059. Desert Springs Realty LTD. Incredible gourmet kitchen w/ granite, island, 42' sub-zero built-in fridge, Wolf 36' SS Pro Range w/dual Convection Oven, brand new Asko dishwasher. MLS#2062882. Top Tier Realty. More impressive in person than in pictures. MUST SEE!!!!!! ! MLS#2056583. Rothwell Gornt Companies. 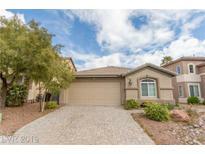 within 15 min to airport, Strip,Summerlin MLS#2039468. RE/MAX CENTRAL.